ethicaloo.com - where are fashion products by top brands manufactured? Our ethical brands database counts more than 400 fashion brands and is constantly updating. For each brand we provide informations about ethics and sustainability, through a 1-5 stars rating system. We aim to offer an easy buying guide, to help people understand which brands respect ethical values, and which ones don't. 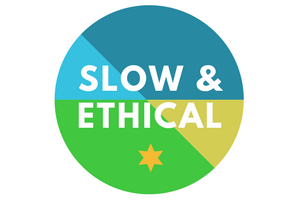 The Slow & ethical certification, The first ethical certification for small businesses, 100% free. Share your values with your customers.